LG have been working on a phone that can have two numbers – a work and a personal one – in the same handset. The two accounts will be able to work in complete isolation from each other meaning that one can be monitored and secured by the office, while the other can be private. There won’t be the annoyance of having to carry two phones around all day. 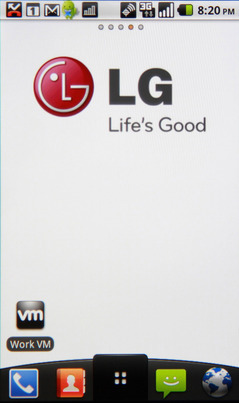 It’s a sign from LG that they’re moving into the business sector, currently dominated by Blackberry. Is this possible yet, and what’s the state with other phones and companies. Is this now a common thing with most providers and phones? I really need one for business and one for personal but don’t know how to go about doing it.